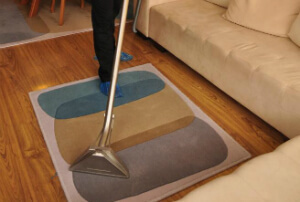 Steam & Dry Carpet & Rug Cleaning Company Harwood BL2 | Quality Property Care Ltd.
Use this phone number 020 3746 4287 do reach our qualified rug cleaning customer support specialists. They are available for your demands! Arrange the deep carpet cleaning assistance right away - it is appropriate for domestic and commercial properties as well! There are many different carpet and rug styles out there and we’ve made sure to be able to clean them all effectively. Our professionals use a different strategy for all different varieties, which allows us to properly and safely clean both natural and synthetic fabric. We can clean synthetic, wool, cotton, linen, silk, viscose, organic fiber, suede, plush, chenille, nubuck, leather, acrylic. With years we’ve been able to improve our stain removal methods to a science allowing us to remove not only oily stains, paint, rust, blood, tea, coffee, vomit, wine and moth damage, but also deal with synthetic and organic and synthetic stains. The modern carpet cleaning Harwood BL2 techniques are now accessible and affordable ! Go ahead and book your carpet cleaning services, right now, to ensure the air in your home or office is clean and safe. This method is appropriate for some synthetic and natural materials and can remove greasy and oily stains from short and long fibers without leaving a trace. To properly clean an affected and stained spot of your carpet or rug, we hoover the spot to remove any debris. This agitates the stain and enables us to more easily extract the filth later on. 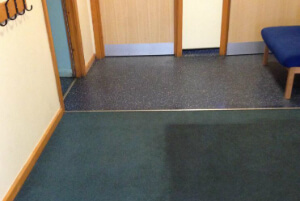 Solids are removed and the spot is pre-treated with a specific detergent which matches the chemical shape. It helps the hot water extraction method dissolve the stain and leave no trace. If the carpet allows it the stain is blotted so it better takes the detergent. Once done the cleaners use a special hot water extractor which blasts the spot with hot water while at the same time drawing all of the dirt and 95% of the moisture out. The pressure and heat of the process, combined with the pre-treatment take away 99% of the stains with full stain removal if it’s fairly new. Old and set stains are almost impossible to be completely removed, so acting immediately when the stain occurs is paramount to its proper removal. There is some leftover moisture from the process, which will disappear safely within 3-4 hours, even fewer if you book our air movers. Don`t wait to book our reasonable carpet cleaning company Harwood BL2 right now! Quality Property Care Ltd. is offered for your requests! Do not wait to book any of our exclusively tailored carpet cleaning services in Harwood BL2 today! Use the direct online booking form for reservations. Get a free quote right away on 020 3746 4287!